The county of Shropshire is logistically at the heart of the British Isles with superb transport links. This is enabling us to support our customers anywhere across the United Kingdom. That’s how we share the benefits of Additive Manufacture (3D printing) in order to help make Britain Great again. Shropshire is the largest and most beautiful landlocked county in England. It is a wonderful place for us to live and bring children up. As a company with a mission we support the TECH Severn vision. This is by exploring how technology may help solve many of the challenges faced by councils and businesses across the UK. Our company supports their view that the latest innovations may transform many organisation's own approach to technology. We believe like them that this technology could help many organisations save money, time, and possibly even lives in the future. Tech Severn also floated the idea, that as a beautiful county, Shropshire could become the Silicon Valley of the UK. Since we began trading, we have been engaged with schools across Shropshire, supplying our first 3D printer to a Shropshire school in January 2016. 3D Printing in the Classroom is key to unlocking the skills deficit in the UK for engineering and design in industry and we are keen to ensure all schools and classrooms have access to a 3D printing device. 3D printing is not new: it is well established, and older than many of the teachers we work with, encompassing many different technologies, but all with the same start: design, and a form of layering process to realise that design. We are passionate about how this growth can be achieved. It is a key part of our strategy to be helping businesses to have the opportunity to employ work-ready staff. 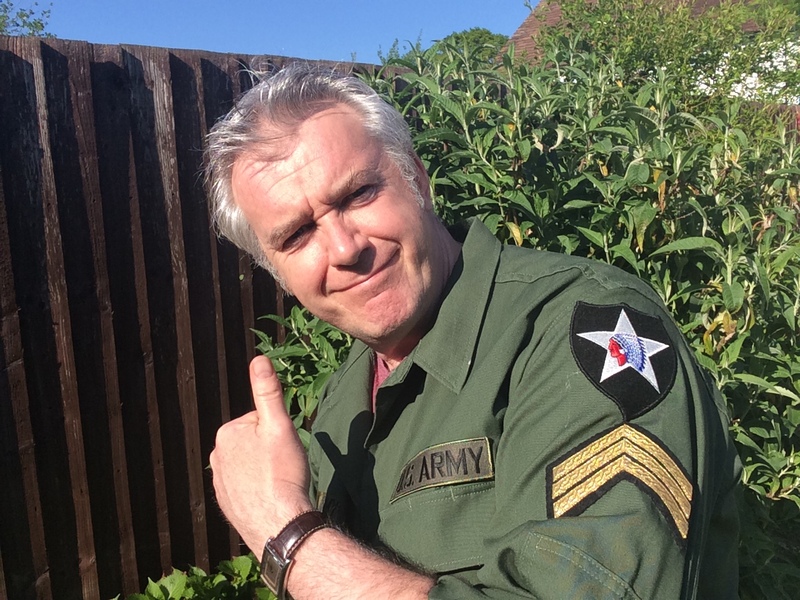 So Paul Brewer (our MD) became a STEM Ambassador. Since creation of the company Paul has been staging events which included elements of design and 3D printing. Events like: RAF Cosford; Telford 50, Harpur Big Bang, Telford TeenTech, and HLC All-School STEM day and Apprenticeship Shows. We firmly believe that 3D Printing teaches more than just design and a new manufacturing process. The 3D Printing technology teaches students that failure is good; it is part of the natural process of refining an idea, and that is a life skill important throughout any career and all ones born days. 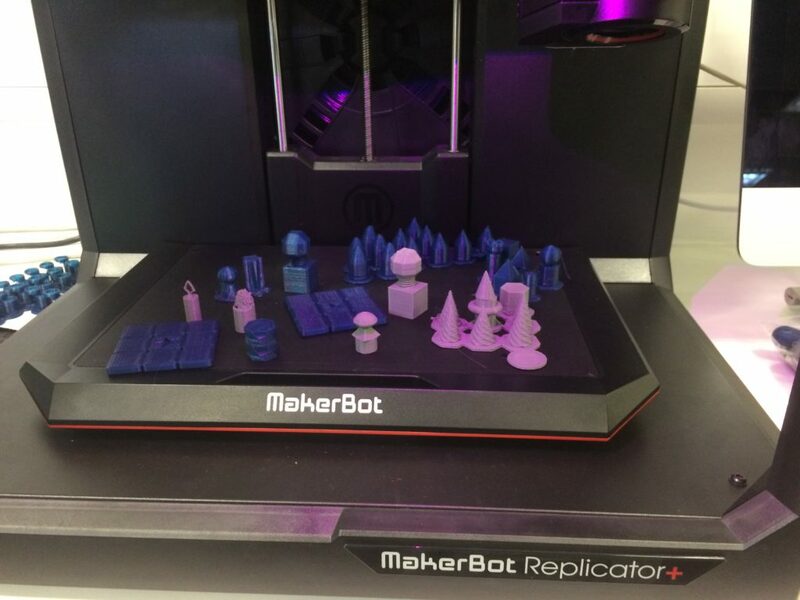 Engaging with Telford Council in 2017, we invested in hardware and made available a MakerBot 3D Printer together with all of the necessary training for a pilot of 6 schools over 2018. This proved a success. Telford students within the project became highly engaged, creating wonderful designs and realising those ideas with 3D printed output. We have extended that project into 2019. Today we are helping teachers overcome their own concerns about how to fit 3D printing into curriculum. 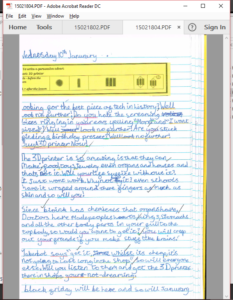 We have over 600 lesson plans available to support them with online and printed resources. As a member of the STEM Partnership and the Shropshire Manufacturing Partnership we are speaking to businesses across the UK every single day. We learn about their applications for 3D printing and this gives us a unique insight into how students of today can help businesses stay ahead in the future. 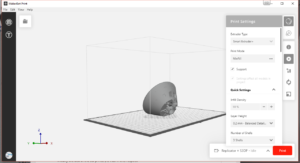 This entry was posted in 3D Printers in Business, 3D Printing in Education, Uncategorized on February 21, 2019 by Paul Brewer. Time and time again it has become a mantra. It is an obstacle to investment that smaller SME’s sit on the fence and avoid investment. Perversely, larger corporations invest in expensive devices and advance their organisational capabilities hundredfold in comparison to the smaller more agile company. Its inverse logic that these larger corporations, who just happen to have big bucks can move quicker to adopt newer technologies like AM. In doing so, they are able to iterate ideas, develop designs and get to market much much faster than smaller more seemingly agile organisations. At one end of the market there are desktop 3D Printing Devices which are cheaper, but lack precision. These are sometimes relatively easy to set-up, but don’t produce the part or prototype consistency required in industry. At the other end are precise machines in Industrial AM which are reliable, but out of reach of most SME budgetary restrictions. These require investment in the technology, a dedicated operator and have substantial on-costs in terms of consumables. 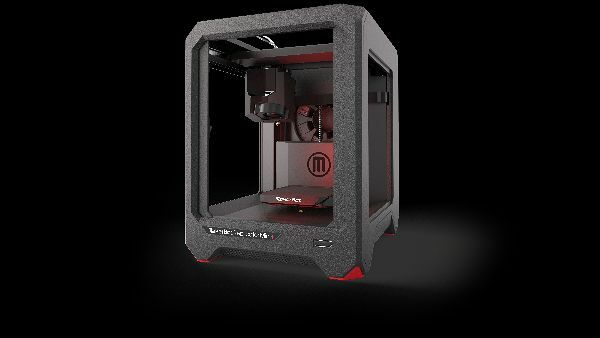 Way back in January 2014, MakerBot launched its Z18 3D Printer, a revolution then, it is still a market leader. With the Z18 today, engineers can 3D print parts, jigs, fixtures with 1.7x bigger build volume than the next largest competitor. With innovative design features like the Smart Extruder+, Designers can now 3D print in PLA or Tough™. Tough™ is 2x stronger than ABS and more elastic, enabling drilling, tapping, snap fits and living hinges. The Z18 3D Prints with 1.2x faster print times than its competitors with little operational intervention. No levelling or tinkering, just BIG prints! 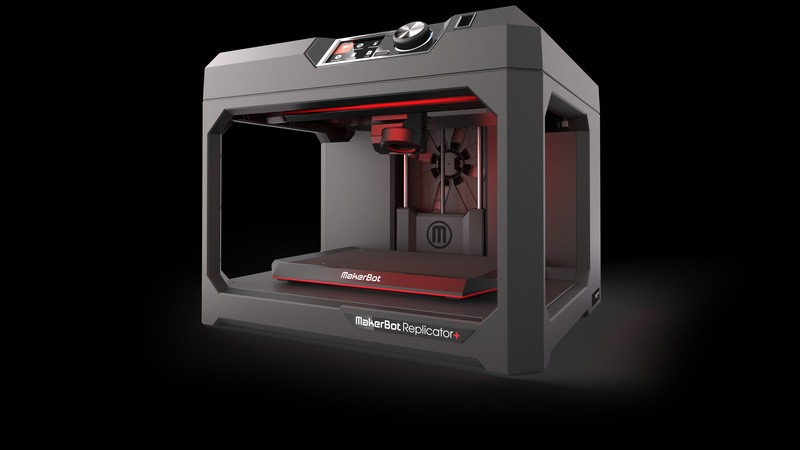 This innovation: the new MakerBot Replicator+ was re-engineered and tested to provide improved performance—it delivered faster, easier, and more reliable printing with a bigger build volume than its predecessor. 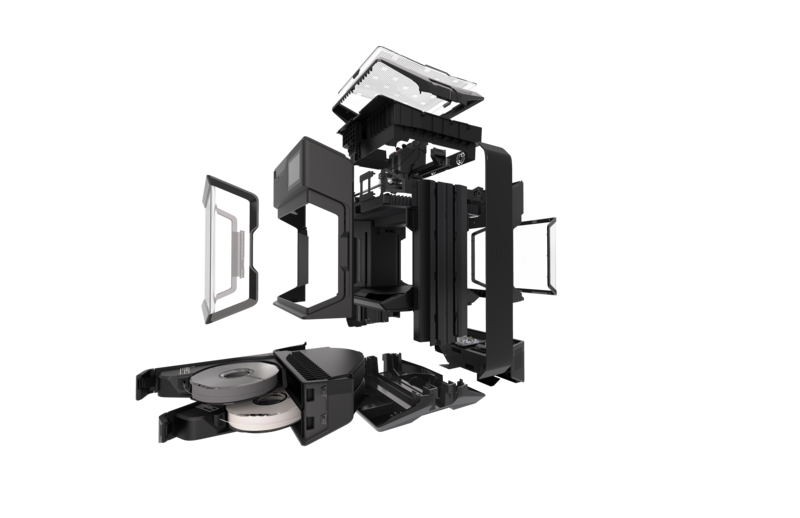 The Replicator+ featured an improved gantry and Z-stage through stiffer materials and sturdier construction for consistent and predictable printing. MakerBots' new 3D printer went through extensive printer and subsystem testing of 380,000+ hours across multiple facilities over the course of development to help ensure reliable, high quality performance. It was at this time that MakerBot also launched the new material Tough™ which is a very reliable material companion for MakerBot machines. 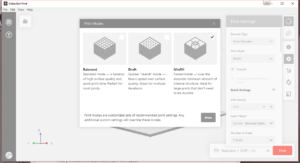 Simultaneously in 2016, MakerBot also launched new control software called MakerBot Print. MakerBot Print software launched at the same time as these new products helped streamline the 3D printing experience for any workflow. Native CAD Support, for example: allowing users to easily import common (25+) CAD files and assemblies. This new feature eliminated the need for STL files. This can result in significant time savings by reducing the number of files the user needs to manage and mundane steps for each iteration. 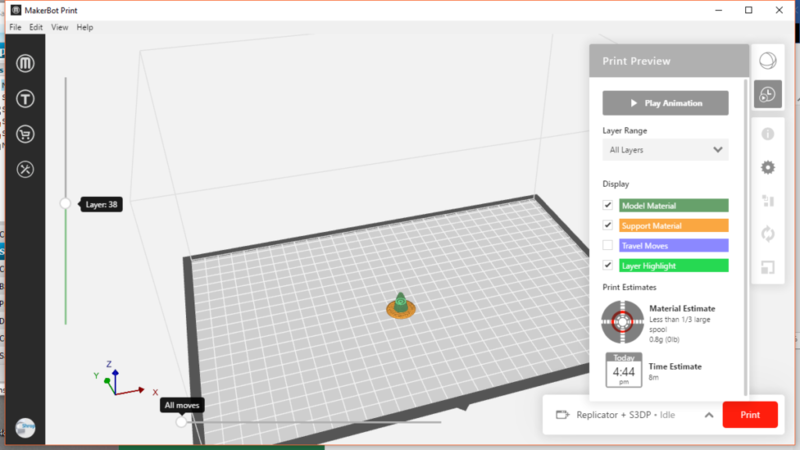 Users could now even organize 3D files and multiple build plates into projects and easily email project files as attachments to collaborate with others. MakerBot has launched a brand-new Industrial 3D Printer, aimed as those organisations wanting to invest, but awaiting the more precise, more affordable faster solutions to be released. What MakerBot to have achieved in a very clever manoeuvre is to address the obstacles to entry at lower end of the market with those SME’s unable yet to adopt. MakerBot have achieved this whilst introducing a device which gives both the precise iteration and cost reduction which those organisations who have already embedded AM within their manufacturing process. 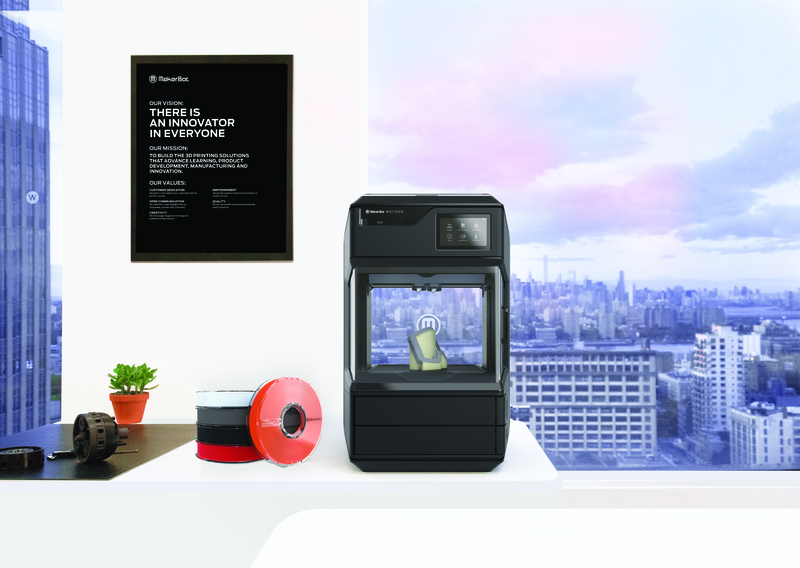 MakerBot started from the drawing board to design a device which incorporates 15 Stratasys patents and 15 MakerBot patents to produce a machine which has Industrial capability in terms of precision, and also affordability in terms of its entry-level pricing. 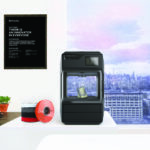 MakerBot have invented a brand new 3D Printing platform which draws on all the agility and innovation of MakerBot and leverages from all of the industrial experience of Stratasys. They have created a new model to compliment their existing range which is aimed at all those companies who want to invest but who were waiting for something better. Still able to handle native CAD files with the MakerBot Print software, integration of AM for any investor is easy. The Rigidity of the new design improves precision, and with dual extrusion allows exact and geometrically challenging designs to be output simply, giving engineers what they need. Speed has been addressed in the process and this new MakerBot is 2x faster, making iteration of designs even quicker, making designers time more effective. At 1/3 the cost of other entry-level Industrial Additive Manufacturing devices, this machine pleases the FD even further. Circulative Heated Chamber: A fully active heat immersion for the duration of the build. Even cooling of the part taking place after completion of the print, leads to better and more consistent precision. Dual Performance Extruders (1x model; 1x support) with Smart Sensors and material management. These newly designed extruders have greater torque with 19:1 dual drive and 3x more pull force than desktop standard. They feature a lengthened thermal core (3 times longer) which means more liquid 3d printing material and leads to a faster print. 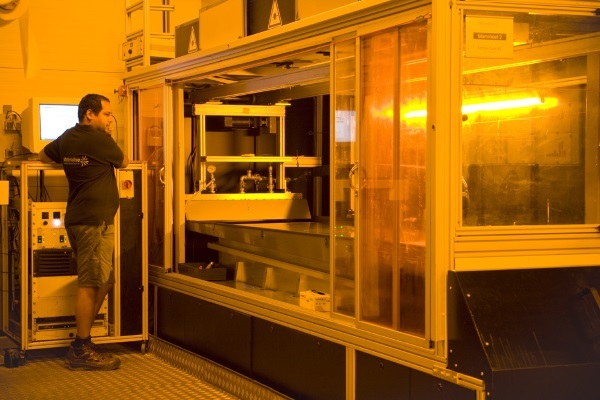 Dry Sealed Material Bays with built-in sensors warn of humidity and temperature variations, which keeps 3D Printing materials in pristine condition, leading to more consistent output. Ultra Rigid Frame prevents flexing and leads to more consistent accurate 3D Print output. Operated and controlled with MakerBot Print, the device can is a welcome addition to users already utilising MakerBot devices, who are used to ease of operation and integration into the organisation. The 5” Colour touch Screen is intuitive adds to the device ease access and operation. Launched with useful accessories like the Base Station (a welcome addition to offer a more stable surface for the device in operation maintaining vibration control) This Base Station will maintain precision output whilst also allowing for manoeuvrability and mobility of the machine, whilst also providing useful materials storage. The new device comes with its own new materials: Precision PLA; Precision Tough™ and Precision PVA (support) which add to the consistency of precise builds. These reductions in TCO arise from the holistic design of the machine. The affordable consumables’ costs make iteration cheaper. The reduction in maintenance cost and time compared to other industrial devices reduces outage. Reduced installation costs and time saves on implementation. Lower hardware costs and lower operational costs come with Method, as organisations don’t have to employ a specialised operator all combined with a lower acquisition cost. 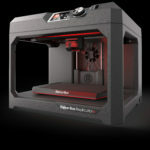 Confident of these cost reductions, MakerBot have even launched an ROI calculator online in order that investors can see for themselves that it is the right time to invest. So… calling all Designers, Engineers and Finance Managers… your prayers have been answered. I was lucky enough to view the new MakerBot Method in Frankfurt in November and witness its precision. I wholeheartedly recommend this new industrial 3D Printer for its Engineering precision for Professionals, its ease of use for Design and Iteration and its ROI for the Finance Director in adopting organisations. 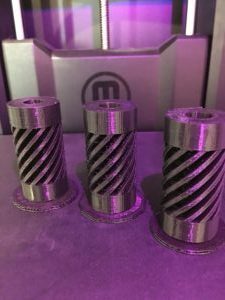 This entry was posted in 3d Printers, 3D Printers in Business on December 12, 2018 by Paul Brewer. 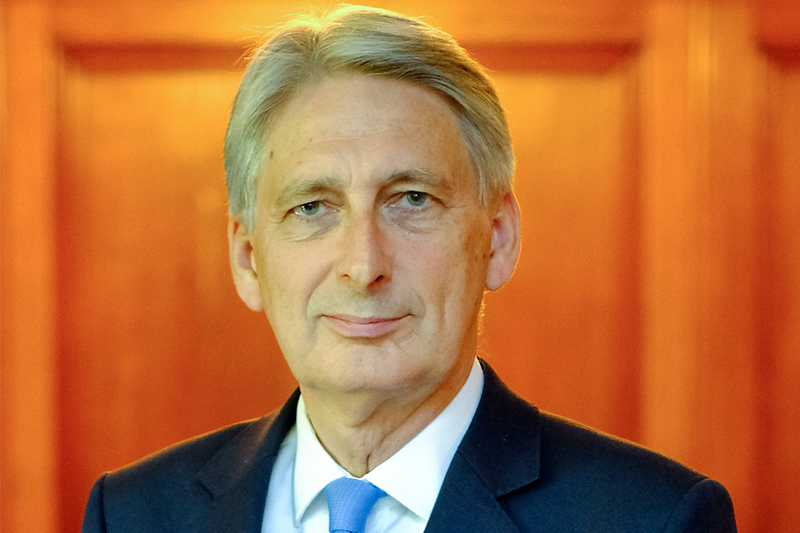 The UK Government has finally done something positive for schools in the UK Budget October 2018. Way back in May 2016, I advocated that our Government introduced a voucher scheme for schools. What I wanted was assistance with the acquisition of the necessary tools to equip our young learners for the 4th Industrial Revolution. 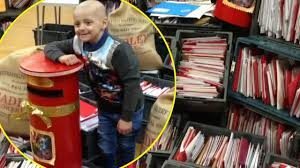 What I was asking for then was help for schools which was similar to the scheme introduced a long time ago to enable schools to invest in BBC computers. Then, as now, there was a need to teach our young minds to the new skills they would require in the Digital Age. This will be £10,000 for the average primary school and £50,000 for the average secondary school. …and that investment is paying off with 86% of schools now rated good or outstanding, compared to 68% in 2010. But I recognise that school budgets often do not stretch to that extra bit of kit that would make such a difference. … averaging £10,000 per primary school and £50,000 per Secondary School." 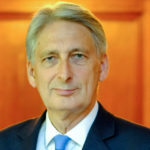 It is unfortunate that some MPs some pundits and some educationalists bridled at Hammond saying it will help “to buy the little extras that they need” It is especially unfortunate that some education establishments are struggling to balance their own budgets and are making very difficult choices about resource levels at their schools as we try to put an end to Austerity within the UK. 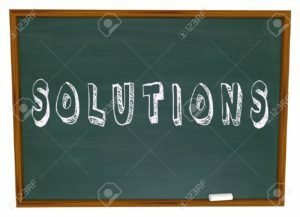 However, the measure should be welcomed and utilised immediately and effectively, as this is an in-year initiative which will allow those schools who wish to equip themselves with the technology required to teach our next generation of workers the iterative problem solving skills required within industry. fully integrated into the internet of things, and free-to-education design software like TinkerCAD, our schools should take advantage of this. 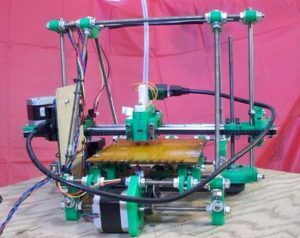 We at Shropshire 3D Print supplying to education across the UK from the Heart of England have always tried to make acquisition easy, and this same 3D Printer is available to schools on operating lease at only £26.64 per month, assisting education even more to stretch their budgets even further. 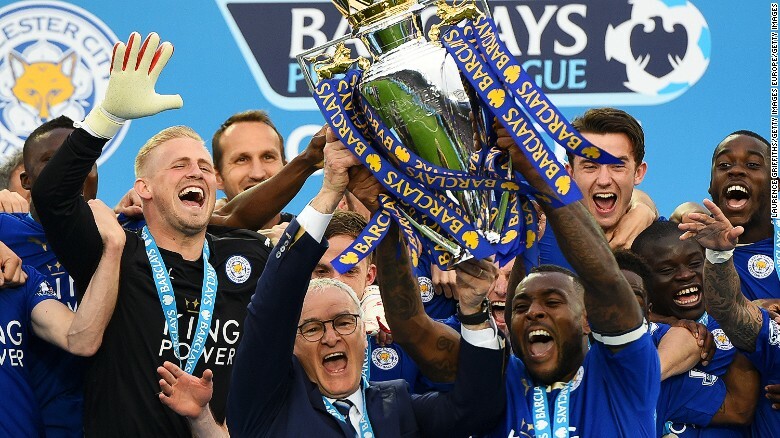 What can you get for £10,000? 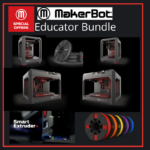 Spark curiosity, bring STEAM concepts to life, and engage the entire classroom with the MakerBot Educator's Bundle. Surely any school would benefit from thee ability to process curriculum output with such a multi-3D Printer set-up. 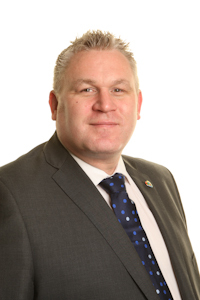 Paul Brewer MD at Shropshire 3D Print said: "In the absence of any Government initiative, we have had to try to assist schools ourselves. 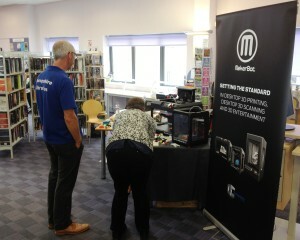 Schools endeavouring to do their best to introduce technology with the MakerBot Education Gateway. This is an operating lease facility designed especially for schools"
Paul further said "If there is new money available from the UK Government after the October 2018 budget for things like a new MakerBot then we are pleased. 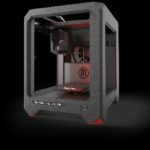 But we would re-affirm that we have always supported UK schools to assist with 3D Printer equipment acquisition with the MakerBot Education Gateway and will continue to do so"
This entry was posted in Uncategorized on November 5, 2018 by Paul Brewer. When choosing the next 3D printer and poring through the 3D printer specification, one of the metrics is usually more prominent than the others: the Z resolution aka the 3D print layer height. Additive Manufacture (AM) has been around since 1981, with Chuck Hull of 3D Systems filing his patent in 1984. In 2009 FDM (Fused Deposition Modelling) printing process patents expired, and there was an explosion in new manufacturers (and technologies) hitting the market. 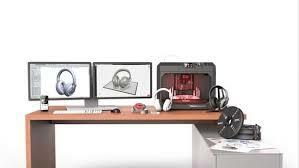 Desktop 3D Printing in FDM technology became available more widely since this time. The Holy Grail in 3D printing for some manufacturers was affordability; for others usability; and for some, sadly the sacrifice of precision for price was too tempting. This Z resolution became the first major numerical differentiation between these early desktop 3D Printers in the late noughties. Early machines struggled to break the 1 mm barrier, but now layer heights on FDM printers can be sub-0.1 mm thin, while the older SLA (Stereo Lithography Apparatus) machines are even more precise. The MakerBot range of machines have an advertised minimum layer height of 100 microns, whilst settings allow you to print up to 300 microns (and beyond) This selection of layer heights gives the ideal balance of speed and resolution. What layer height can the 3D printer achieve? What is the best layer height for the 3D print? Are Lower Layer Heights Better? High resolution has a trade-off. Thinner layers mean more repetitions, more passes by the extruder. This in turn means longer 3d print times: 3d printing at 25 microns vs. 100 usually means and increase in the print time four-fold. More repetitions also mean more opportunities for something to go wrong. There is NOTHING more soul destroying than leaving a 12 hour print to return to failure. To put this into context, even at a 99.99% success rate per layer, quadrupling the resolution as above from 100 microns to 25 microns lowers the chance of print success from 90% to 67% if the assumption is that a failed layer causes total print failure. It might be a surprise to learn that the print on the left is 50 µ , middle is 100 µ, right is 150 µ. If the hot end is lower in the Z axis than it should be, pressure will build up in the hot end that will need to find a release in any way possible regardless of retraction settings. This ooze will occur from the side of the nozzle. Stringing will occur as this filament is pulled out having adhered to the model when the hot end moves on. The effect can also cause filament jams. If the hot end is higher (too far away from the model in the Z axis), the extruded filament will not properly bond to the previous layer and it will be stretched out when the hot end moves. The same issue applies with extrusion factors and settings (speeds). Extruding too much for very low layer heights will cause excess filament blobbing where it's not desired. This adheres to the nozzle. It is then dragged out of the nozzle and is mistaken for oozing. Too little extrusion and the layer being extruded will not bond to the previous layer and stringing occurs again. Retraction settings are to stop oozing (filament drip) from the hot end during non-extrusion movements. Although retraction settings do not help with filament that is already improperly extruded. 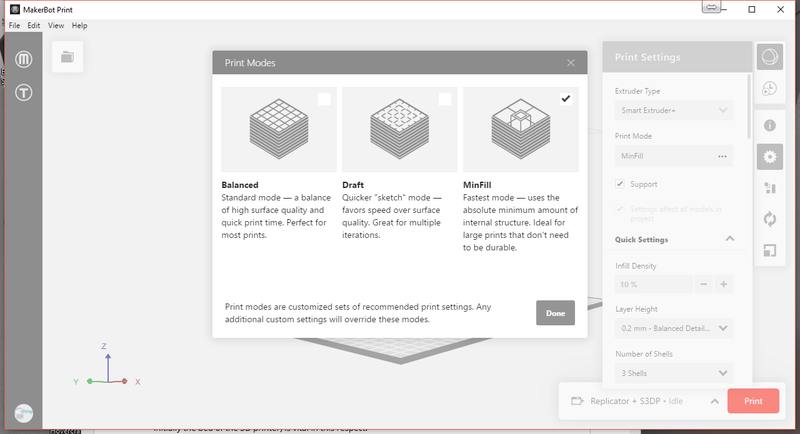 Therefore lowering the layer height requires some other fine tuning of print settings in order to make successful models, but also is only appropriate for some models. Lower layer thickness equates to more time, and more errors. Do thinner layers yeild better prints? This Depends: it depends on the 3D model to be printed and also the XY resolution the 3D printer is capable of. In general, thinner layers equals more time, and the possibility of more errors. 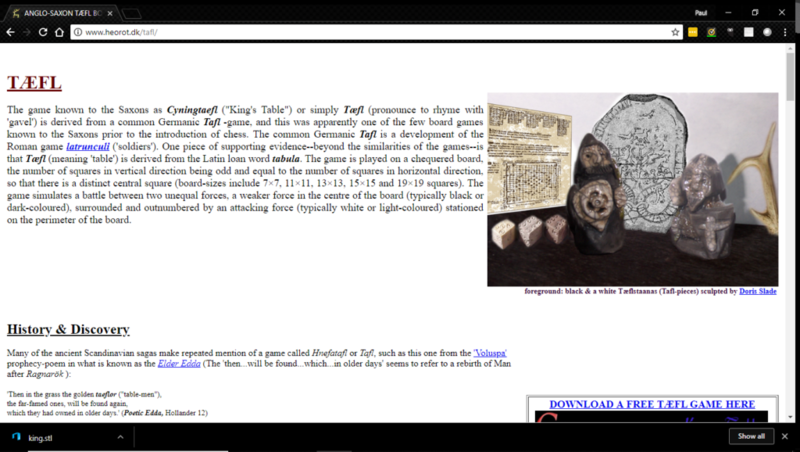 Therefore, it is true that in some cases, printing models at lower resolutions (i.e. thicker layer heights) can actually result in higher-quality prints. Lower layer heights are typically associated with smoother transitions on diagonals, which leads to generalisation and a push of Z resolution to the limits. The issue is compounded if the XY resolution of the printer is not perfect. If the printer does not have good X-Y resolution then more layers means more mismatched ridges on the surface. While the Z resolution is higher, the model will look like it is significantly lower quality in this case. There are times when higher resolution is desirable. Given a printer with good XY resolution and a model with intricate features and many diagonal edges, lowering the height of the layers will yield a much better model. In addition, if that model is not tall in the Z axis (200 or fewer layers) then increasing the Z-axis resolution can really improve the quality. In a nutshell, 3D printing smaller objects will benefit from lower layer heights. Certain designs benefit from a higher Z resolution: organic forms, rounded arches, small embossing, and intricate engravings. If the desire is to print small objects, then FDM 3D printing might not be the solution, and perhaps SLP (Selective Light Processing) or DLP (Digital Light Processing) 3D printing may be the better solution. These technologies require more post-processing including curing the model in UV light to harden it post 3D print. 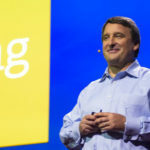 This entry was posted in Uncategorized and tagged Layer height on August 7, 2018 by Paul Brewer. 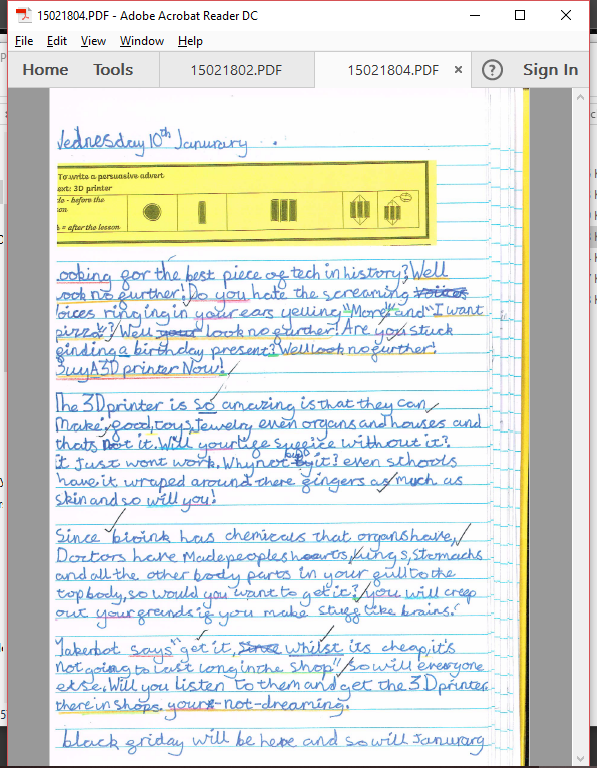 In September 2017, during meetings with Telford & Wrekin Council, Wrekin View Primary was identified as a school who would be willing to participate in a project to establish how a primary school can integrate 3D printing into curriculum. To 15th February aprox. 1.5 kilo of filament used in production of 3D Prints for the project and also for other after school clubs in School 3D Printing. MakerBot 3D Printer PLA filament costs £46 + VAT per 900g. These included Human body parts for Adrians group (Heart; Eyeball; Brain) and Minecraft models for the Friday Minecraft club. Wrekin View yr 5 are studying the Anglo-Saxon era in Topic. Board dimensions and piece sizes were set at the beginning of the project. More able students mentored less able, and students on the autistic scale were engaged due to the process involved. Research; Problem solving; IT skills; 3D Modelling; Manipulation; Geometry using primitives; mathematics; involved measurements; saving and preparing 3D Models for School 3D Printing. Students gained knowledge through experimentation on how to position and 3D Print their own designs. By printing their own designs, they learned about the viability of design in the process. Through trial and error, they learned about support and overhangs and how the 3D Printer needs to be programmed for these. Mike took extensive pictures of students engaged in the process. Some staff tried to use the machine without training and had mixed results. The above led to some print failures, but this was a good learning experience. Mike realised that some of the print failures were due to print settings and lack of support material. Andy Pembleton sees the value of School 3D Printing and a MakerBot 3D Printer at the school and used it in his own after-school club. He found that he was able without design to 3D Print human body parts as teaching resources and bring his subject to life for students engaging them even more in the topic. Andy would like to utilise the machine in an even more open area like reception so that all students, parents and prospective pupils can see the device operating and share in the experience. 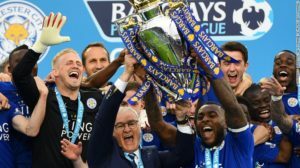 This entry was posted in Uncategorized on July 23, 2018 by Paul Brewer. 20.2% of city work forces will be affected. Northern and Midlands cities are the most exposed with 23% of jobs affected. Generally, those jobs that are made up of routine tasks are at a greater risk of decline, whereas those occupations requiring interpersonal and cognitive skills are well placed to grow. Overall, one in five jobs in cities across Great Britain is in an occupation that is very likely to shrink. This amounts to approximately 3.6 million jobs, or 20.2 per cent of the current workforce in cities. 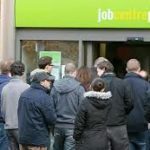 In places like Mansfield, Sunderland, Wakefield and Stoke almost 30 per cent of the current workforce is in an occupation very likely to shrink by 2030. This contrasts with cities such as Cambridge and Oxford where less than 15 per cent of jobs are at risk. As a Liverpool lad and a Midlands based company, it is most worrying to me that Jobs in UK Cities worst affected are those locally. 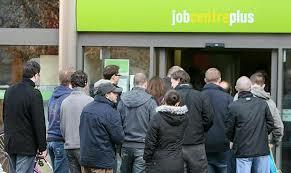 Places like Telford at 25% predicted job losses and Stoke is even worse at 28%. Coventry set to lose 50,000 jobs. The UK average is 21% losses by 2030. For Telford who have an estimated 82,700 people in employment for the year up to June 2017. That is 20,675+ jobs which may be lost. That's over THREE times the capacity of New Bucks Head and twice the New Meadow Stadium in Shrewsbury. Standing shoulder to shoulder this amount of people would take up more that 4,000 square meters. Whichever way you look at this number, its important to remember, they are real people, with real families and real mortgages and rents to pay. They will need help to get jobs in the new economy. Whilst automation and AI (Artificial Intelligence) and the internet will bring about opportunities for some with home-working, the skills needed today are lacking. Skills like: creativity; problem solving; continuous learning and flexibility are absent in the current roles and jobs which are to be lost. People who want jobs in the next ten years will need to re-train. Who will provide that training? The companies? The local authorities? People who can problem solve and learn news skills will gain new (as-yet unthought of) jobs. 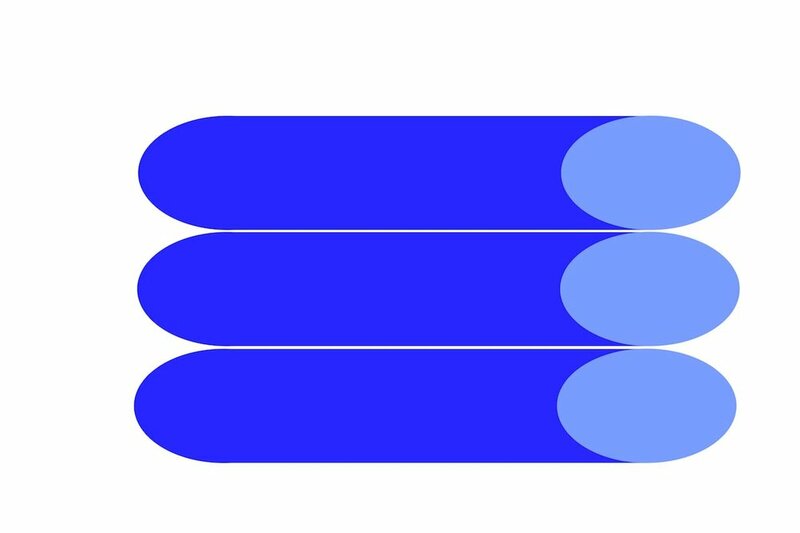 In November 2017, McKinsey reported that worldwide there cold be 700 million displaced from their jobs by 2030. The Bank of England estimates upwards of 15 million jobs are at risk from automation and AI in the UK alone. On the flip side, the Worldwide Economic Forum states that these displaced people can “easily” be employed IF they retrain. There is the added bonus that retraining and gaining the new skills required will gain higher wages. For struggling cities in particular, policy needs to create the conditions that support the development of knowledge, and the use and exchange of it. A key element of this will be to provide their residents with the skills they need to be successful in a labour market that is likely to be ever more dominated by non-routine work. Policymakers should also prepare the workforce of the future by giving younger generations entering the labour market the right set of skills and knowledge to succeed in the jobs of the future. The current workforce should be given adequate resources to adjust to changes in the labour market. Those least able to adapt need to be given adequate compensation for their job loss but should also be given retraining. 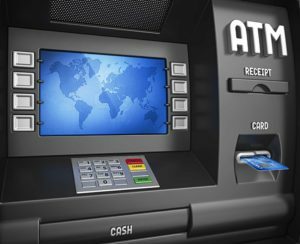 Historically, the ATM effectively put paid to the job of the Bank Teller. This particular job roles life was only extended by the ageing population in the UK. Older people were unwilling to accept paying in and getting out cash by a machine. That’s not the case with the current generations. 20 and 30 somethings are quite happy to accept and use automated checkout at the supermarket. You will see more of these. Amazon has opened a corner store only this year (January 2018) where customers can pick up their groceries and just walk out without having to queue up and pay at the checkout. The company said shoppers at its Amazon Go store will have the cost of their purchases automatically billed to their Amazon Prime account. Sensors will track customers as they go about the store and record items they pick up. The rise of supermarkets has almost killed off the existence of Milk Float delivery. Albeit the recent announcement by this Conservative Government to move away from plastic packaging might alter that. Prompted in no small way by Sir David Attenborough presenting the BBC prrogram Blue Planet, the issue of plastic pollution globally in our seas might reverse the trend for pre-packed food and give home delivered bottled milk a new lease of life. This last point demonstrates the power of direction and policy from Central an Local Government. The nature of work in todays' society in cities is vastly different to that of over a century ago when the second industrial revolution (the assembly line ( introduced by Henry Ford) was about to hit. Back then in the urban workforce of 1911, Domestic Service made up 8% of the UK workforce. Tasks performed by maids and butlers are now automated and made easier by machines like the washing machine for laundry, the vacuum cleaner for cleaning; the microwave for cooking; and the automatic central heating system – so no fires to light or ashes to lean away. Farriers; Saddlers; Grooms; Stable boys; coachmen, all lost jobs with the replacement of horses by the internal combustion engine. However, since that time, those able to re-train and take on monotonous jobs in the Second Industrial Revolution of the Production line found jobs in factories. Since then in the Third Industrial Revolution, those able to retrain in telecoms and IT roles when Automation on the production line was introduced have done well. Today, your car is moving forward with AI. It is switching on and dipping your main headlamp beam. Vehicles ab automatically switch on your windscreen wipers. Car Sensors can warn you that you are straying across lanes. The government has announced is is backing the push for driver-less cars. The Automated and Electric Vehicles Bill. was announced in October 2017. This technology market is set to be worth up to £50 billion to UK economy by 2035. Thus we have the oxymoron that we are creating jobs to make drivers redundant, but that is a good thing. Today there are fewer Policemen stopping you speeding, which is mostly caught on un-manned automatic cameras, and in future, your car wont even speed, which is even better. Still not convinced?. The next time you fly , ask yourself who is flying the aeroplane? It will invariably be on Autopilot for the greater part of your journey. Cities whose economies are based on these latter industries like IT and who have investment in these future technologies will fare better than those which are not. These cities and companies are clustered in the South of England. Those cities whose economy is dependant upon the likes of warehousing will fare less well. So the ability to keep Jobs in UK Cities will suffer. Apart from its main package delivery service, United Parcel Service (UPS) gets an portion of its revenue from storing and shipping parts for manufacturers. If those customers were to switch to 3D printing their own parts, that business would face a drastic reduction. 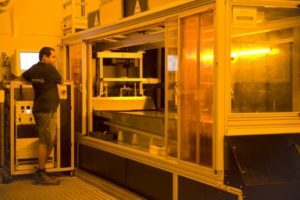 UPS therefor opened its own 3D Printing Farm, so that instead of picking packing and sending parts for their clients they are Printing Packing and Sending those parts to protect their business from this disruptive technology. UPS has chosen to get on board the 3D revolution, and since 2016 has been offering a service in which UPS will print out plastic parts—anything from nozzles to brackets to prototype soap dispensers or multifaceted moving parts—around the world and deliver them. “3D printing is a great opportunity for us, but it’s also a threat,” Alan Amling, UPS vice president for corporate strategy, told Reuters. How can Local Authorities help? If Local Authorities Lobby Central Government for help, they can move away from simply managing decline to a more positive influence of actually improving their economies. Additive Manufacture (AM) otherwise known as 3D Printing. These Authorities will also need to give access to the current workforce to retrain for Lifelong Learning. The seven year old of today is predicted to have 17 jobs by the age of 40. There is nothing more certain than change, and change is more rapid now than ever. Have we not learned the lesson of pit closures since early 1984, when the Conservative government of Margaret Thatcher announced plans to close 20 coal pits. This led to the year-long miners' strike which ended in March 1985. On 21 April 2017, Britain went a full day without using coal power to generate electricity for the first time since the Industrial Revolution, according to the National Grid. The lessons were obvious that we need to manage that change in workforce. 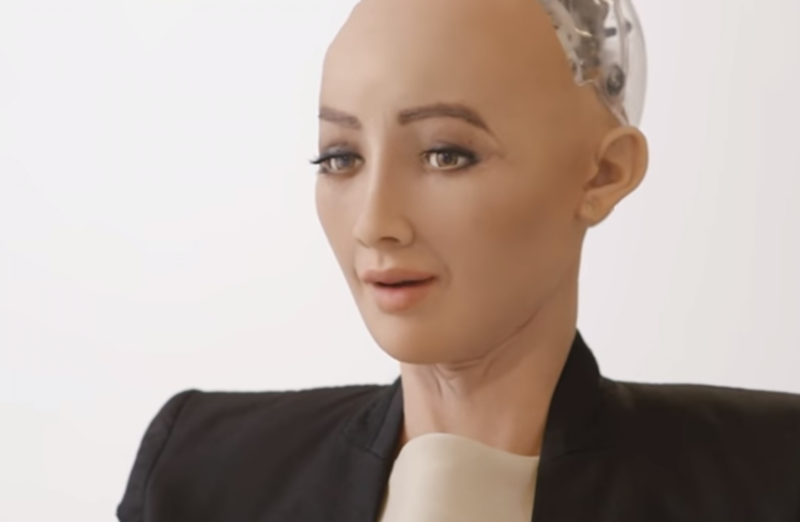 Is AI and Robotics all just theory and prediction? At Christmas 2017, many of us will have extended AI which is already in our lives. If you have a Smart Phone, you probably already ask Siri or on your Laptop Cortana to do something for you, even if it just a spell check. You may have now been given or if you are a gadget type purchased for yourself Amazon Echo which is is a hands-free speaker you control with your voice. 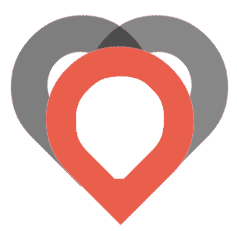 Echo connects to the Alexa Voice Service to play music, make calls, send and receive messages, provide information, news, sports scores, weather, and more, instantly. 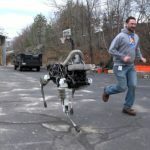 Companies like Apple and Google have variants and are investing heavily in AI. 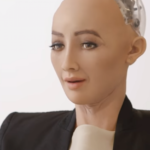 For advanced examples: checkout Sophia from Hanson robotics to see how far this merge of AI and Robotics has gone. 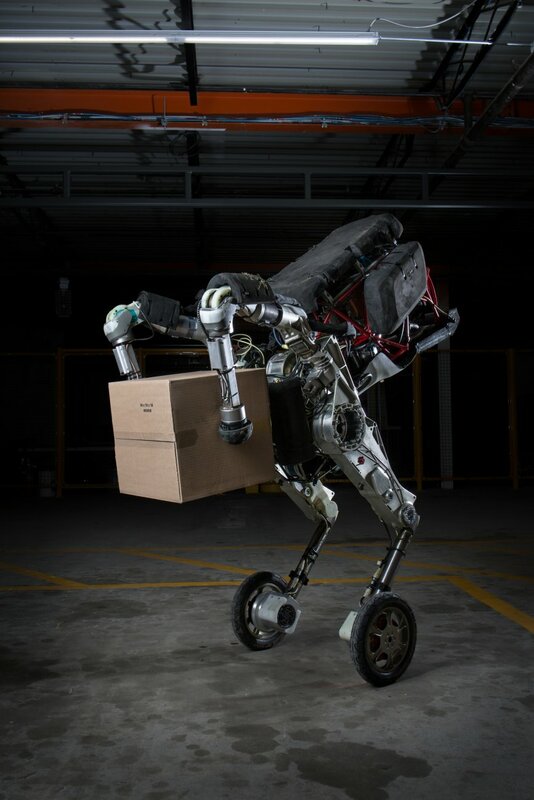 combined with the Robot “Handle” to create new and faster robots which can go anywhere and be packhorses and warehousemen. 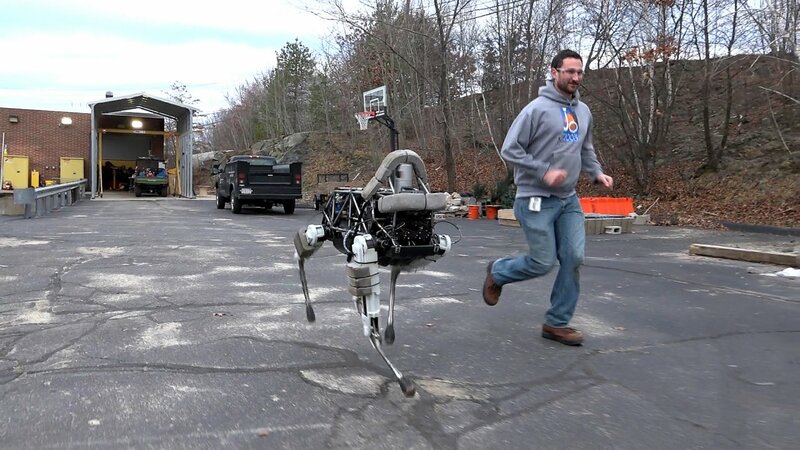 These robots can run, and jump and are very very fast. 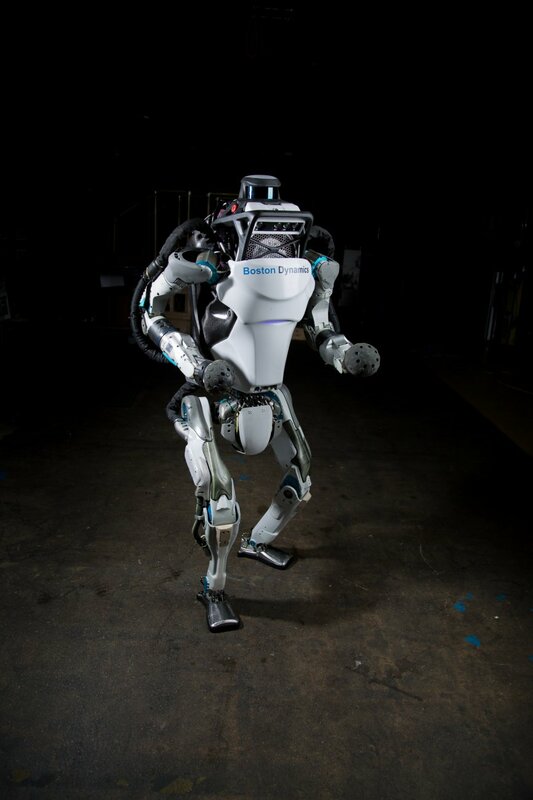 The robots from Boston Dynamics are very far removed from a robotic arm in a factory. The Digital Revolution (a report by Lord Baker), recommends that schools have voucher schemes to invest in the technology they will need. Technology to teach about coding, robotics and AM (Additive manufacture aka 3D printing). This is how the BBC micro desktop computer got into our schools. Unfettered schools from the manacles of waterfall education; exam results driven systems and league tables. The jobs students parents do, will not be around in 10 years. We need to teach students how to free-think, how to be able to cope with change and continuous learning. We need to move away from teaching students to pass exams upon exams just to get degrees. Degrees are not the outcome for society. A successful and rewarding career is a good outcome for society. The knowledge learned in a 4-year course invested in a degree is redundant before the examination is taken. Only the learning process is of value. Fact retention is less important than the ability to use AI. I saw a teacher reprimand a student recently for using a smart phone to ask google the answer to a problem. There is a time to think and there is a time to gather information and possible solutions. Todays' challenges give us less of a reason to specialise knowledge by committing facts to memory. Let students use Robotics and AI. Teach them how. Luddites would be shouting by now: "yes- but what if we dont produce electricity in the future - where will we be then?". Mans ability to overcome obstacles is extraordinary. As we journey to Mars and beyond, we whould not be clinging to the past and old ways of manufacture. For Cities to survive, we need to help students and workers of today how to train or retrain to get jobs in UK cities. 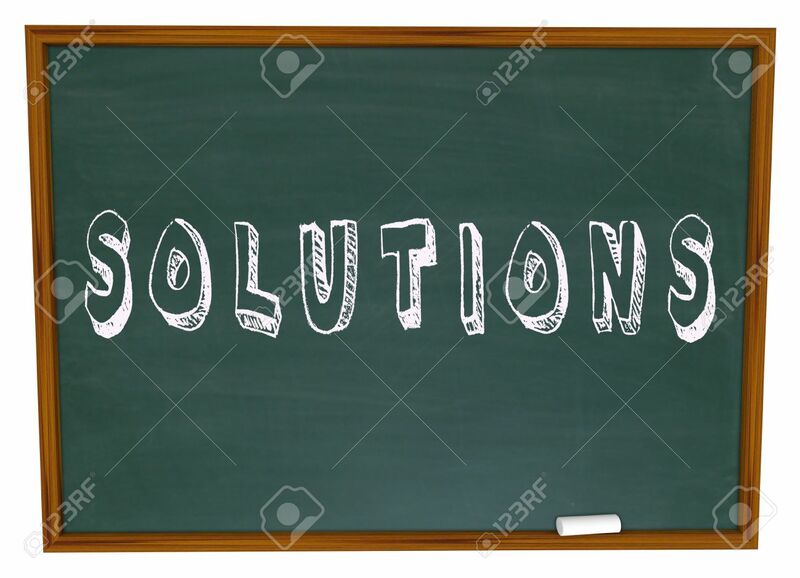 Problem solving and the ability to use technology to overcome these problems is vital. Only free-thinking can surmount a problem. It is good to experience failure. Failure and iteration is the only road to success. Wake up world. 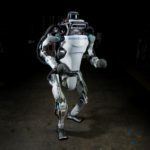 Robotics is here and how. Wake up UK. Robotics and AI in the 4th Industrial Revolution (industry 4) is here and now, not the future. The UK Government centrally and locally needs to wake up. We all need to stop sleep-walking into the future, because it has already overtaken us. On some fronts it appears active, on others totally inert. 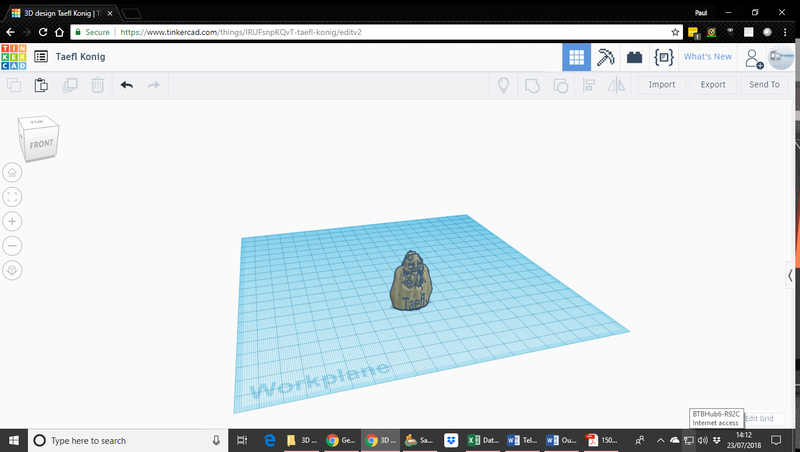 This entry was posted in 3D Printers in Business, 3D Printing in Education on February 2, 2018 by Paul Brewer. I cant believe its been two years since we exhibited at Shropshire Libraries and the engagement we created amongst the public and businesses. I was taken aback by the way many different types of library user from young students to retired pensioners, from engineers to inventors all wanted to know more about how to access 3D Printers. 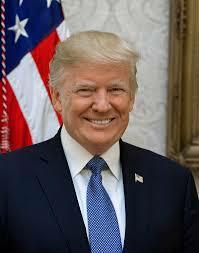 President Trump Tweets from the hip and international diplomacy is out-of-step with the immediacy of social media. Volkswagen recalled 11 million diesel vehicles in September 2015 after the car manufacturer was embroiled in an emissions scandal. The company admitted that those vehicles were fitted with a device designed to cheat emissions tests. Was this a catalyst in the movement to Electric and Hybrid? In 2015 The Vanity Fair website saw 11.6m visits by people wanting to read Caitlyn Jenner’s exclusive interview. This made Caitlyn (who started life as Bruce Jenner) the most famous transgender woman in the world. Was this online frenzy part of the move to e-books? In June 2016 the EU referendum of the UK Electorate 46,501,241 ... the nation was split with Leave the European Union 13,266,996 vote Remain a member of the European Union 15,188,406 vote Leave in a total Valid votes 33,551,983 and Invalid or blank votes 25,359. This appeared to emphasise that you cannot sit on the fence, albeit plenty have complained afterwards with the majority of the capital voted to stay in the EU, with 28 out of 33 boroughs backing the remain campaign. Tim Peake rocketed off to the International Space Station in 2016 and running a marathon via live stream to coincide with the London Marathon was a brilliantly heart-warming event. 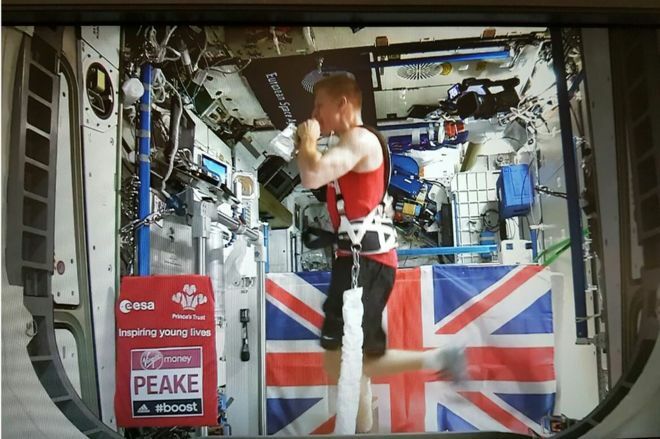 Peake ran the 26.2 mile course strapped to a treadmill in three hours, 35 minutes and 21 seconds, watching the roads pass under his feet in real time on an iPad. 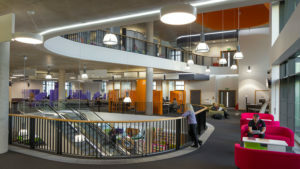 In 2016 the Scottish Library and Information Council ensured every public library service in Scotland received both 3D printing technology and training. Now every Public Library Service in Scotland has 3D printers available, opening up a whole new world of creativity and digital learning in public libraries. In November 2017 MakerBot launched the MakerBot Labs platform for advanced users , sharing ideas and the MakerBot Experimental Extruder which is designed for the advanced user looking to push the limits of what's possible with MakerBot 3D printers. This gives the user the ability to customize the 3D printing experience with a modifiable hardware design and interchangeable nozzles. There is still a little time left in the year to see what makes the headlines, and sometimes we can influence what happens next. We would like to see the same initiative and investment that Scotland injected into their libraries in 3D printing across English County Libraries. If you would like to discuss 3D Printing in your County libraries... or any other orgaisation.... business or educational establishment....then please lets get together. This entry was posted in 3d Printers, 3D Printers in Business, 3D Printing in Education on November 13, 2017 by Paul Brewer. We have worked with schools for many years now, and understand the constraints on budget and time that they face....If only there were a 3D Printing Hub specifically for schools which was secure, reliable, specifically for schools and could save the school money. We recommend all schools (from KS2 education) invest in at least one 3D Printer so that students all have the opportunity to understand the Additive Manufacturing Process. Sadly it is a fact that sometimes investment in the several machines required in order to output for all students within a timescale is just not possible. it is important that we give all students the opportunity to become Industry 4.0 ready. It is true that sometimes because of budgetary restriction, lack of investment in a 3D Printer, or enough 3D Printers to cope with the output demands in curriculum, once adopted, 3D printing everything required for students can cause an issue. This can lead to log-jam in output when students need to 3D print their designs for curriculum. and now use it infrequently if at all. There are some schools made do with DIY 3D printers which break down and are difficult to use, for both teachers and students alike, defeating the object. Schools who invested in just one 3D Printer, but maximise its use in Design and Technology and other curriculum areas. One 3D printer between many students leads to Log-Jams. These schools find that it is difficult or impossible to output all student designs on one 3D Printing device in time for assessment or examinations. yet invested in a 3D Printer for school. Schools we have spoken to are often facing very tough decisions about resources, and we try to help any way possible. 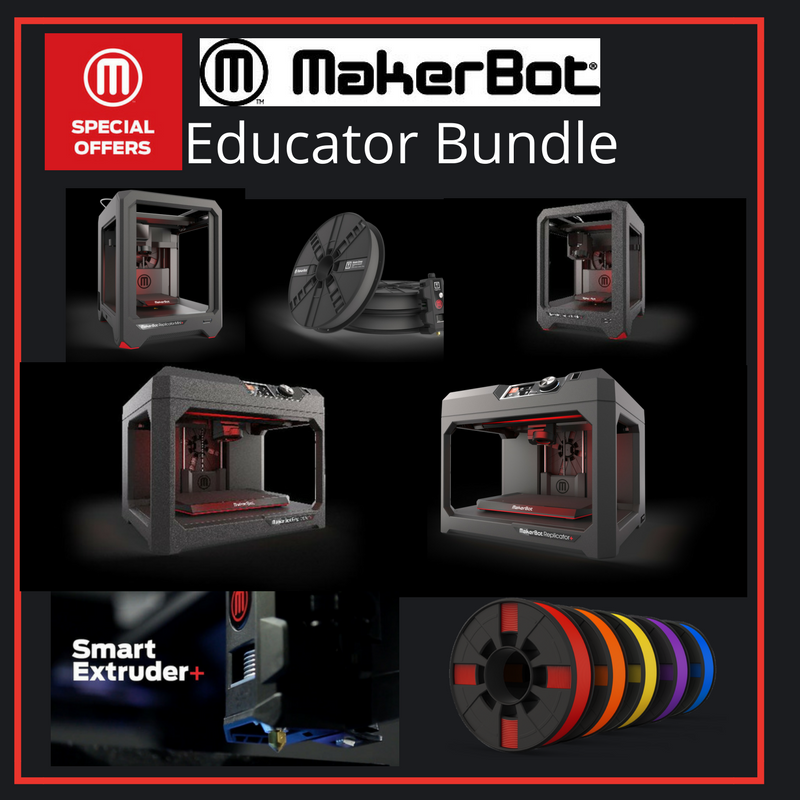 We offer the latest design of 3D Printers like MakerBot, the encompassing ecosystem around these 3D Printers with free resources for Design and 3D Printing for use in the Classroom to enable greater use within the whole-school environment. By keeping in touch with both clients and potential customers we encourage schools to invest in more 3D Printers, overcoming cost issues with great value and support, and also offering Operating Lease, enabling schools to acquire more 3D Printers or their first with no capital outlay. 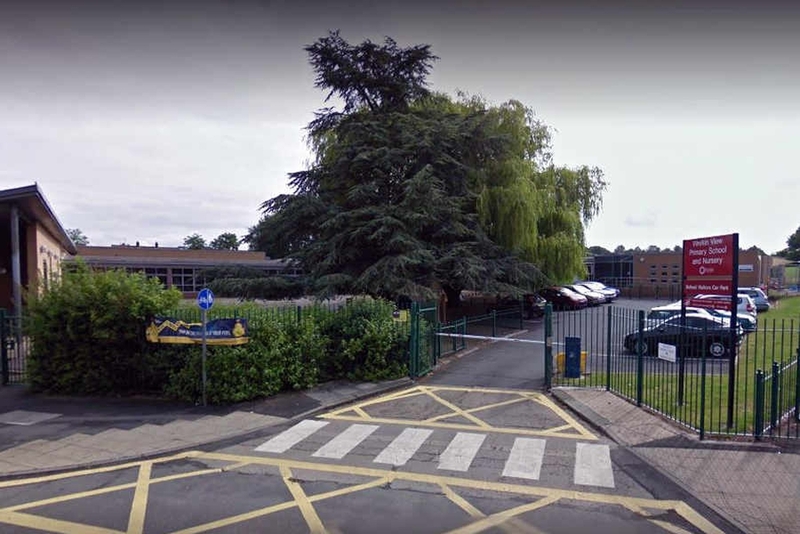 We also give schools the opportunity to overcome capital issues with Operating Lease which is the only form of lease a state school can enter into. 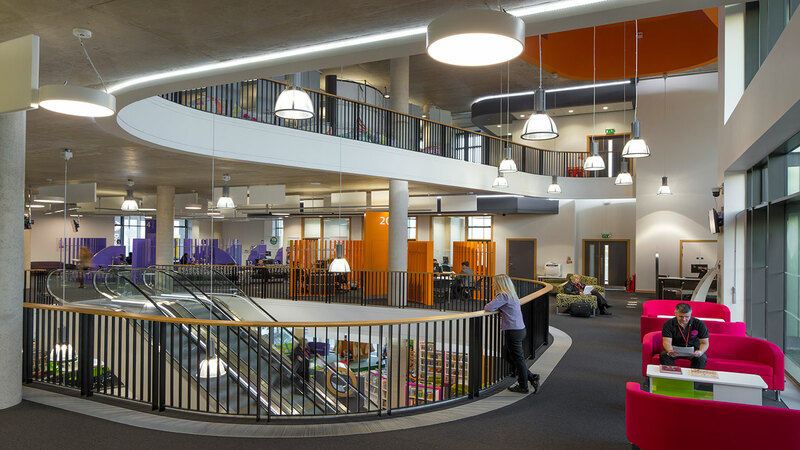 It protects the school from the risk of ownership, whilst allowing the flexibility of continued use or upgrade. For other schools like Independents we also offer Finance Lease. The engineers and designers of the future are now able to change their mindset as to the limits in design brought about by traditional manufacturing methods and freeing their new ideas with 3D Printing. Many industries and current vocations like Architects; Surgeons, Dentists, Civil Engineers, Automotive Engineers and Designers; Aerospace engineers; Space Exploration; Archaeologists all currently utilise 3D printing or as it is also known Additive Manufacture or Rapid Prototyping. So, even though your school might have an old and expensive to use 3D printing device; even though your school might have just one or two 3D Printers to serve the entire school; even though your school may not yet have invested... we at Shropshire 3D Print can help. 3D Printing Hub- HOW does it work? 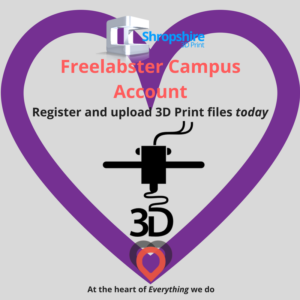 Working in partnership with FreeLabster 3D Printing Hub, we have the ability to give your school access to a fleet of 3D printers. After all, 3D Printers should be in the Internet of things, and location of the device should not preclude its use from distant designers. Once registered, your school will have an extensive use of 3D Printers on the 3D Printing Hub perhaps without having purchased a 3D Printer yet. Its an excellent way to start learning as a school the value of 3D printing. 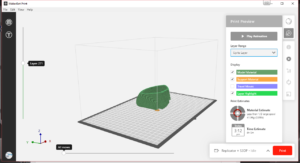 Teachers will have access to a help-desk on the 3D Printing Hub for queries, and will be given feedback on viability of CAD designed models for 3D Printing output, helping with the learning process. Due to the sheer size of the network of 3D printers at our disposal on the 3D Printing Hub, your school will be given the power to output every students project, without the constraints of ownership or having only one or even no device. Educators will have the ability to interact with experts on the 3D Printing Hub and obtain feedback for students on problematic CAD files from 3D Printing experts, which will help pupils on their learning curve. Simply subscribe - there is a registration fee of £70.00, which includes £40 credit against first 3D Prints. Each Teacher will be given their own account, and each class can then design their objects in the knowledge that they will get to see the fruits of their labour. The responsible adult can send student files through our secure platform for 3D Printing, and our experts will be in constant dialogue. 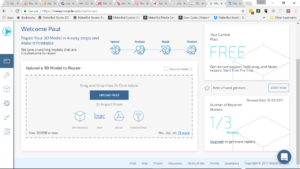 As indicated, if a file is simply not 3D Printable (meshed for instance), our 3D printing gurus will give advice and feedback, as it is a learning experience. All 3D Prints when complete will be delivered directly to your school. Turnaround time will be fed back when uploading files, but this tends to be 4 days maximum, and of course depends on the size of the file. The school account will not be debited until we know you have both received the work and that you are 100% satisfied. This entry was posted in 3d Printers, 3D Printing in Education on August 1, 2017 by Paul Brewer. No matter which technology is utilised by you the designer in the output of a CAD design to a 3D Printer, the process is the same. Shropshire 3D Print specialises in desktop FDM technology and provides high quality machines from the best manufacturers around the world. Affecting other considerations, application is key to on which technology the object should be made; in what orientation; how dense it should be; and what finish is required. For instance, it is quite normal for you as a designer to iterate first designs on an FDM machine, which is low-cost in terms of output. 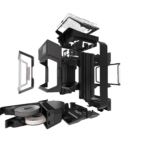 Indeed, many manufacturers, like MishiMoto, iterate on a MakerBot and move to other technologies or traditional manufacturing to make the final product. An FDM machine can make products in PLA, ABS, PETG, FLEX, Wood, Glass and PVA. (Water-soluble) in the main these are forms of plastics and whilst ideal for some applications, might not suit BAE for final output when the item to be 3D Printed is a Jet Fighter part, and needs to withstand very high pressures, temperature changes and stresses. You as a CAD designers might normally only consider the design the exterior of the object, their further considerations being the materials used and the process. If a CAD designed product is designed to be output on a lathe, then there is no need to think about what is inside the model as it is the same material and density as the exterior design. A key advantage of AM is the fact that geometries can be very complex as manufacturing constraints are not the same as with traditional manufacture. Similarly, AM can provide massive material and weight savings, as items can be re-designed with skeletal facades, retaining strength and integrity of the object and providing massive cost savings not only in production, but also payload. See Lockheed Martin’s use of MakerBot 3D Printers as they design parts smaller, lighter and more fitted to satellite launch. In considering the geometry, you as a designer then has to consider in what orientation the object will be made. Understanding that in 3D Printing a layer cannot be made unless laid upon an existing layer (or initially the bed of the 3D printer) is vital to you in this respect. Will the item need support material to be made in the layering process? What is the best orientation to give maximum strength? Orientation is essential in 3D Printing from designing the part to output of the part on a 3D Printer. Understanding orientation enables better success with 3D printed. In FDM 3D Prints the main area of weakness is between the layers. If you were 3D printing a slender cylinder that needed to have strength it would not be wise to print the cylinder vertically. Instead it would be better for you to print the cylinder lying flat on the print bed. This also depends on the forces which will be applied to the 3D model (application). It is a common misconception for designers new to the technology that a 3D Printer outputs the finished article 100% of the time. The finer the layers the item is built in the finer the finish before post-processing. How can all this be achieved. The good news is that all CAD output files are processed by software called slicing software prior to print. Therefore all models can be virtually oriented and manipulated prior to additive manufacture. 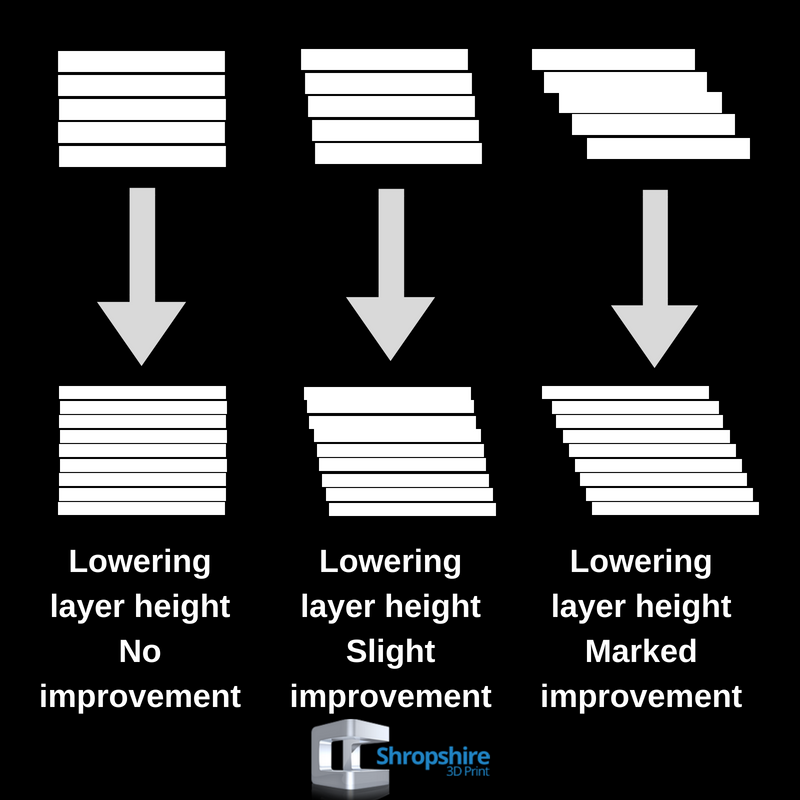 Layer Height – the lower the height the finer the output – however, the longer it will take to build. There are more settings within the slicing software and seasoned 3D Printer users will tinker with these for even better output. The great news is that MakerBot and Stratasys use GRABCAD based slicing software to maximise workflow and iteration time. 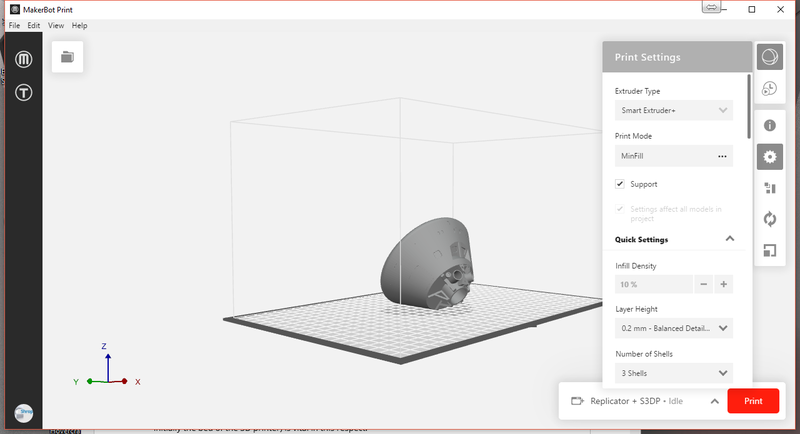 Finally it is now easy for you as the designer to slice the object/ model prior to build, see how much material will be used, where supports will be, how long the build will take, and whether further setting alterations are advisable before 3D Printing. This entry was posted in 3d Printers, 3D Printers in Business, 3D Printing in Education and tagged Slicing; CAD to 3D Print; Slicing Settings on April 18, 2017 by Paul Brewer. John Lennon wrote Revolution , a song about change. 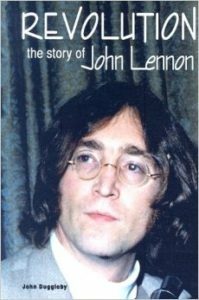 there is a biography about his life called Revolution. 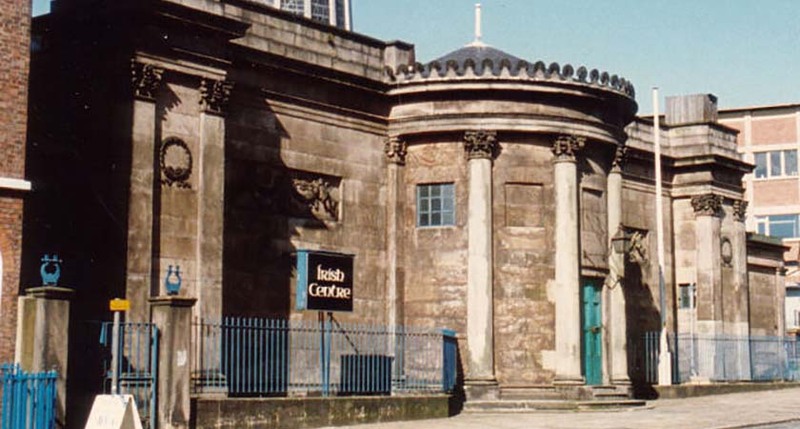 I went to school in Liverpool in the 1980's. This school was attended by Paul McCartney and George Harrison. 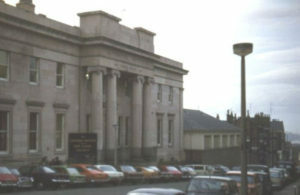 Next door was the Art school which Lennon later attended. Together with Ringo they caused a Revolution in music across the world. John Lennon wrote a song called "Revolution" which I was lucky enough to perform live at the Liverpool Philharmonic with a Beatles Tribute Band. It's a rocky number. My secondary education wasn't learning revolution but was at the last State-run Grammar called The Liverpool Institute High School for Boys. 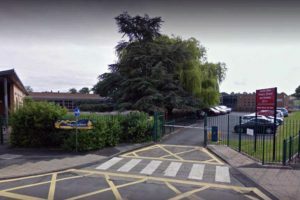 It had a sister school called Blackburn House. Boys like me were not allowed to hamper the development of young and brilliant minds across the road. In this little blog I'll avoid comment on the politic of the age, which saw radicals like Derek Hatton plan a Revolution and set about the dismantling of this last bastion of Grammar education. That said, he advocated the independence of Liverpool from Central Government control, and a type of mayoral system, now adopted as the norm in the UK. We started with these beginning in London and this is seen as a template for the UK. Messers Hatton & Co might have wished for the opting out of State control of education, but probably would not have been happy with the recent announcements on Academisation of education in the UK. Back at My school, right from the very first year as an eleven year old, we were "streamed" into Languages or Sciences across 4 "forms" or classes. I began in "1A" and we in this Language set were taught, English (of course) Latin; French; some Spanish and a "Q Language". Now this "Q Language" was a choice of either German or Russian. We also studied Metalwork OR Woodwork after the second year. 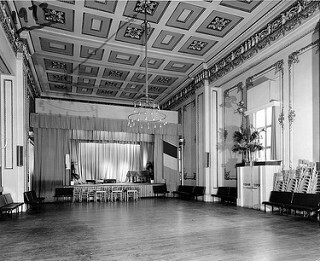 Whilst at school, I had a weekend job in the Irish Centre in Liverpool, collecting glasses and working serving at tables. A great way that was to learn how to communicate properly in the adult world. Little did I know how much forward thinking my school had when in the 4th form - "4A" (4th year) we were asked to choose between our Q language and our "craft". I say forward thinking because that is just what Lord Baker is suggesting today. He is going further but more in saying that we don't need languages in the modern world, we need skills for the workplace. Lord Baker, formerly of Margaret Thatchers Cabinet is calling for extreme and radical action to prepare our young people for the workplace and what is described as the next industrial revolution in a new report published in May 2016..
His Report "The Digital Revolution" was prompted by the Bank of England's recent prediction that up to 15 million UK jobs are at risk of automation right across the UK economy including "pen pushing" professions such as law and accountancy. Lord Baker's paper suggests an eight-point plan which includes the provision of 3D printers and CAD design software for all primary schools in the UK, reintroducing young apprenticeships at the earliest age of 14, blending a core academic curriculum with a day a week of technical learning and regular work experience and letting young people take computer science or design and technology instead of a foreign language GCSE. Am I in a Time Machine? 'The economy is changing at an unprecedented pace. Every day, jobs are being lost in professions we used to regard as careers for life. Artificial intelligence, robots, 3D printing and driverless vehicles will impact on sectors as varied as the legal profession, transport and construction. 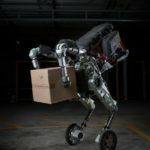 'The UK's future workforce will need technical expertise in areas such as design and computing, plus skills which robots cannot replace - flexibility, empathy, creativity and enterprise. 'Right now, this thinking is almost entirely absent from the core curriculum in mainstream schools. 'In the Digital Revolution, knowledge is as necessary as ever, but it is not enough. It has to be connected with the real world through practical applications ranging from engineering and IT to the performing, creative and culinary arts. Universities should provide part-time courses for apprentices to get Foundation and Honours degrees. Now you are thinking "Who is this guy writing this blog....Marty McFly?" No I'm not, but I do think I made some choices ahead of their time which may yet pay off, and I could make a Million!!! I am actually better looking !!! 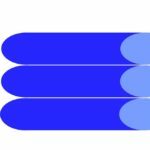 If you are reading this blog, you are able to read English, a universal language so is there any point in learning another one if you are English? The new Universal Language is Code, and all should be competent in this way of speaking to our computers and controlling them. I with Lord Baker agree that 3D Printing should be taught right from key Stage 1. 3D Printing is essential to our children's understanding of how design and manufacture has changed. No matter what industry a young person joins when leaving education, it will be impacted upon by 3D printing, which has been with us now for 30 years. Whether the pupil of today desires to be an Architect, an Archaeologist; a Doctor or a Dentist; a Pilot or an Astronaut, in Automotive or Aerospace; a Jeweller or an Artist; a Manufacturer or an Engineer' 3D Printing will be the edge they need to compete in the world and without the basic skills and understanding required, our country will fall behind. I welcome Lord Bakers Report, but without the vision and guidance of Government, and in a target-led environment, educators will fail our children, because they still ask today "Why do we need a 3D printer in school?" Give them the tools they need now, today, in 2016 for the moulding of tomorrows workforce. Teach our children how to use 3D Printers. I want our Government to Introduce a voucher scheme and take the pain of indecision away from schools. Accuse me of bias, being a 3D printer supplier to Education, but I became one to plug our UK engineering skills gap, and to encourage more women into the STEM subjects utilising CAD and 3D to realise designs yet unthought of. Free our Children and let them become what they could be. A mind expanded never returns to its original size. This entry was posted in 3d Printers, 3D Printers in Business, 3D Printing in Education, Uncategorized and tagged The Fourth Industrial Revolution, The Digital Revolution, 3D Printers in schools on May 16, 2016 by Paul Brewer.